Roberta was born November 26, 1940 in Woodson County, the daughter of Frank B. and Nellie P. (Winder) Hempen, Sr. She graduated from Humboldt High School and Neosho County Community College and received a Bachelor’s degree from Kansas State Teachers College. 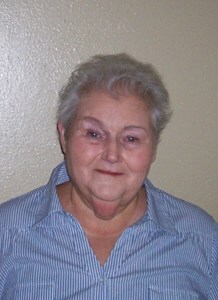 She was employed as a Dietary Manager with Rolling Hills Nursing Home and Lexington Park, retiring in 2006. Roberta married George Dewey in February, 1963. They later divorced. Survivors include children, Mary Dewey, George Dewey, John Dewey, Bill (Laurie) Dewey, all of Topeka; brother, Frank B. (Nancy) Hempen, Jr., Yates Center; and nephews, Frank (Jana) Hempen,III, Jeff (Brandy) Hempen, Derek (Brenda) Welsh and J.T. Welsh. She was a member of K.D.M.A. She enjoyed camping, fishing, country music, and was devoted to her family. A Celebration of Life will be held at 1:00 p.m. on Saturday, February 16, 2019 at Dove Southwest Chapel, 3700 SW Wanamaker Road. A reception will follow the service. Memorial contributions may be made to Interim Hospice of Topeka. Add your memories to the guest book of Roberta Dewey. I am so sorry to hear about your mom. She was a very special lady. My thoughts and prayers are with you.